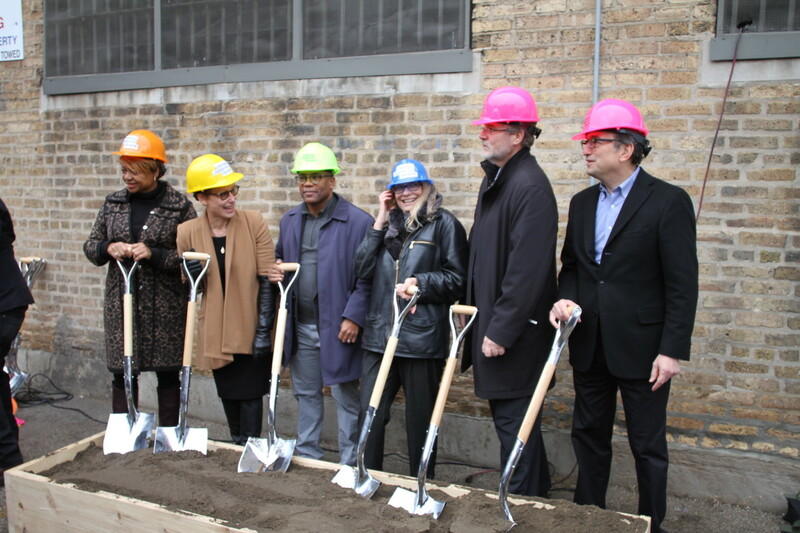 Located in the Near West Side, Chicago Children’s Theatre’s first permanent home “The Station” promises to be a new cultural gem for the City. 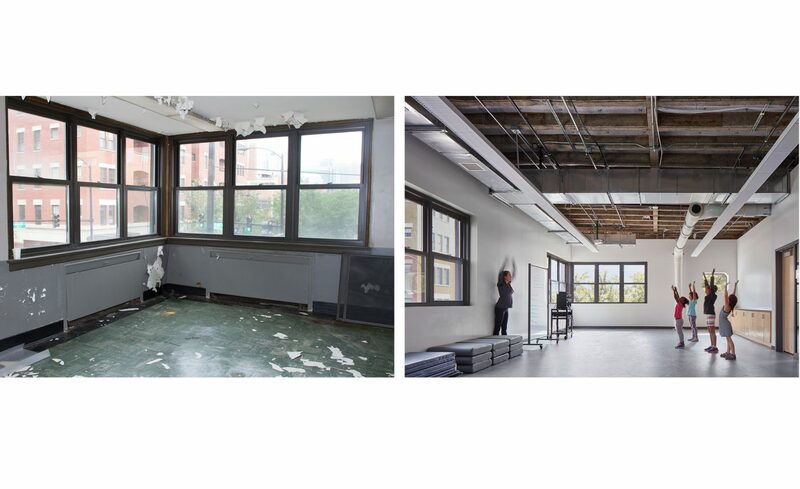 The project transformed an abandoned 1948 police station, which sat vacant for nearly two years, and includes a 149-seat studio performance space, classrooms, and administration space. 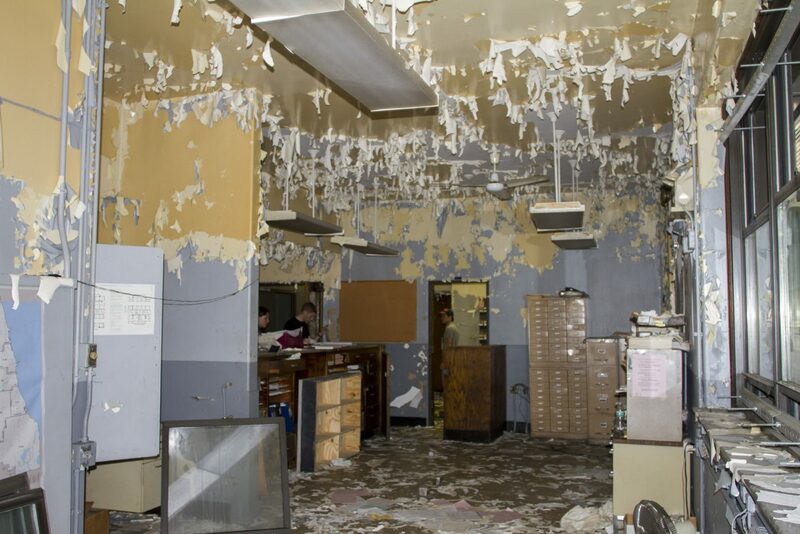 The transformation of the 26th District Chicago Police Station is itself a metaphor for liberation. 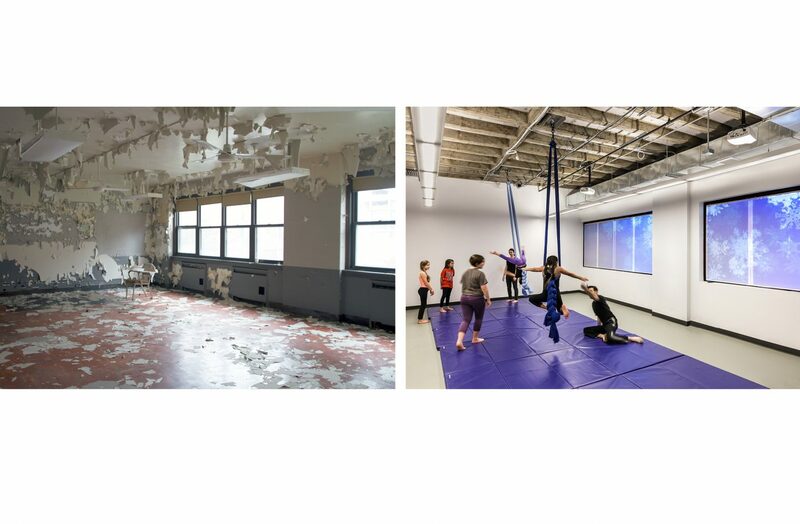 Once fulﬁlling a role of authority and conﬁnement, the building is a place of unbridled joyful interaction with the arts. 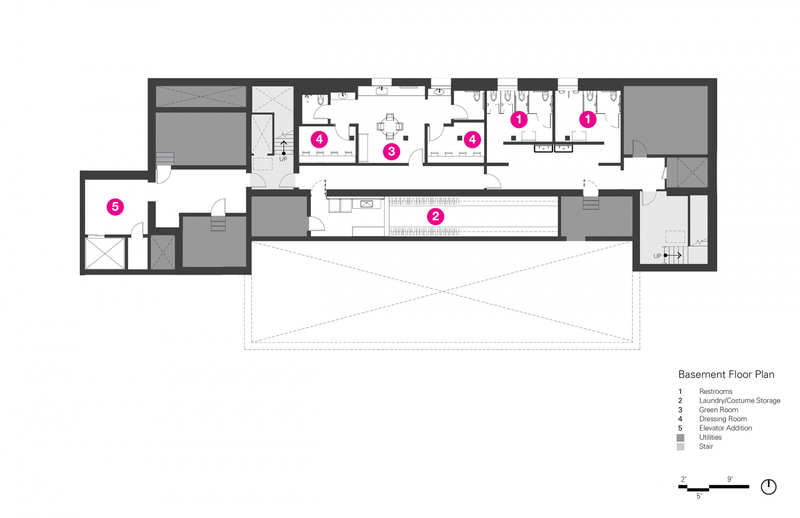 The Station was preserved in its raw state to serve as an authentic foil to new interventions. 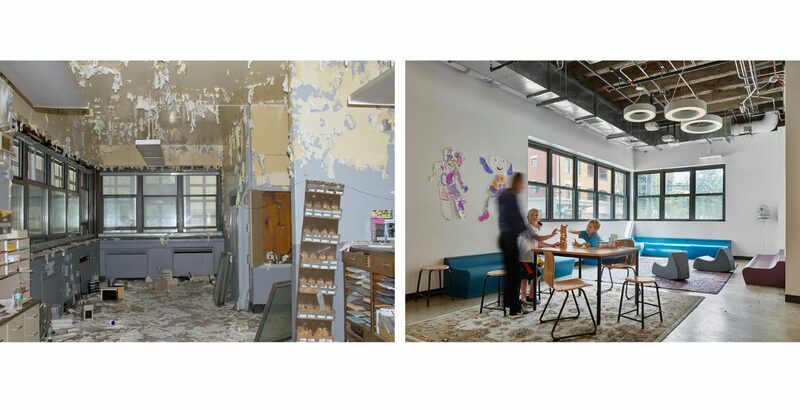 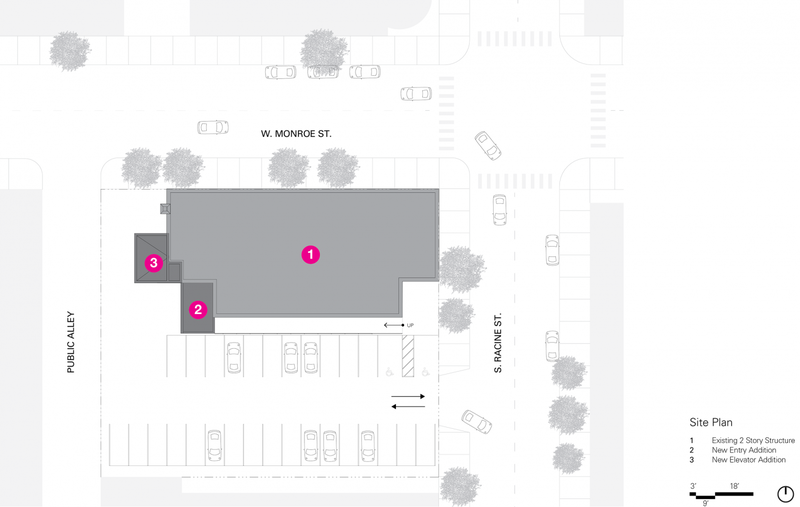 The adaptive reuse issues an invitation for intervention and imagination that a carefully curated new space – devoid of historic context – may not engender. 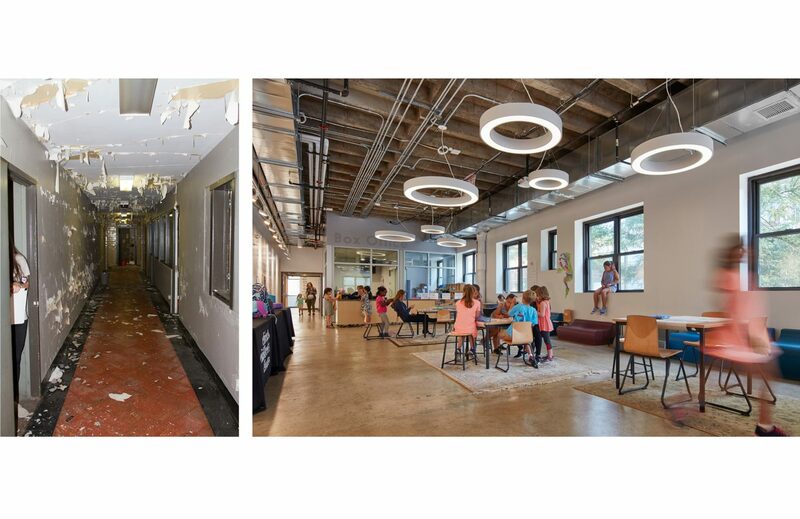 As an incubator and laboratory for and by the young, the design speaks strongly to the purpose of the activity it houses, rather than the monumentality of the space. 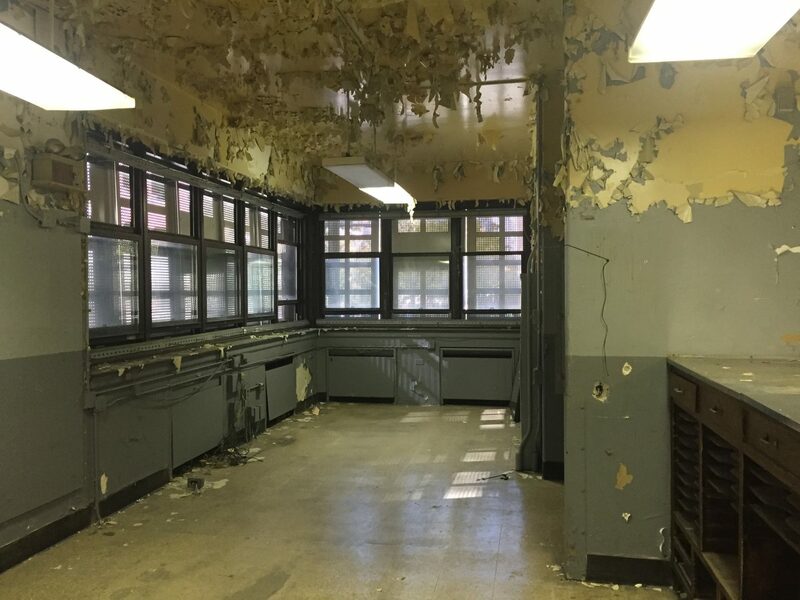 The idea of an open laboratory or workshop can extend to all program elements, including communal spaces, classrooms, maker spaces and workshops, and wardrobe. 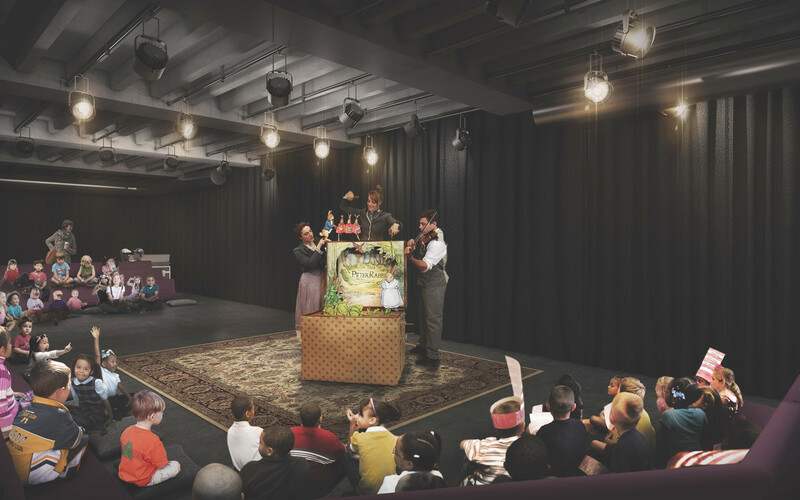 A theme for the children’s theatre is exposing what typically hides “Behind the Curtain.” By exposing all areas of activity that are usually hidden from view, emphasis can be placed on the process, reinforcing the idea that all of the program spaces can be places to explore the artistry, craft, and technology of the theater. 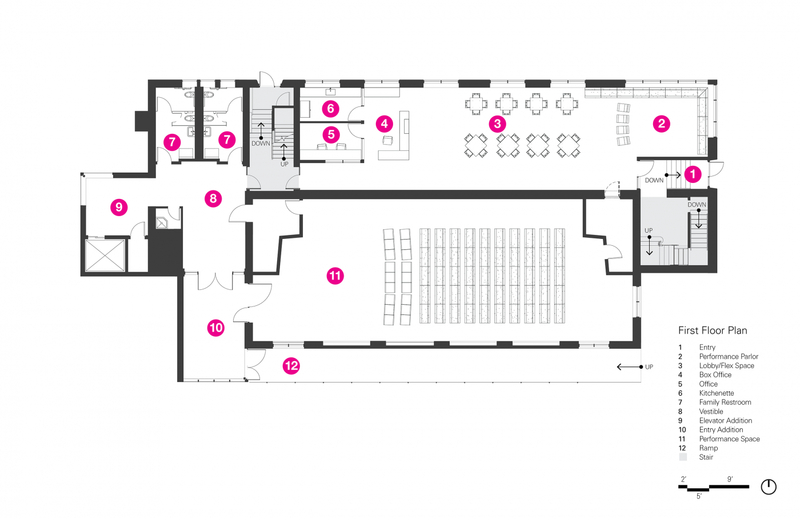 By making these spaces transparent, the entire process of theatre is on stage. 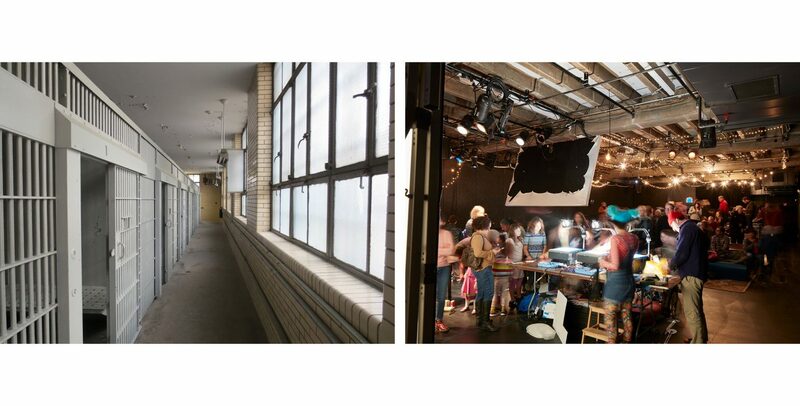 Back of house spaces, where children can make scenery and props for their own performances, are left in plain view rather than concealed. 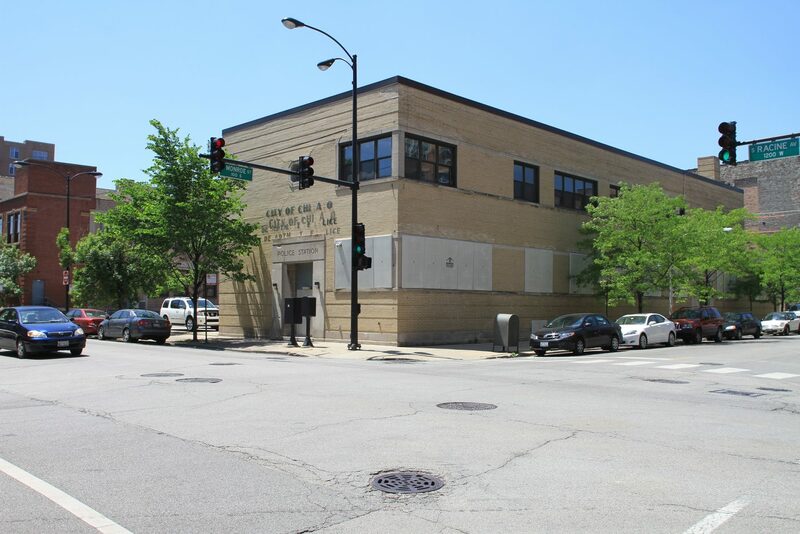 Parents and children arriving for classes enter at the corner of Monroe and Racine, where they encounter a generous reception space adorned with costumes and props from past and future performances. 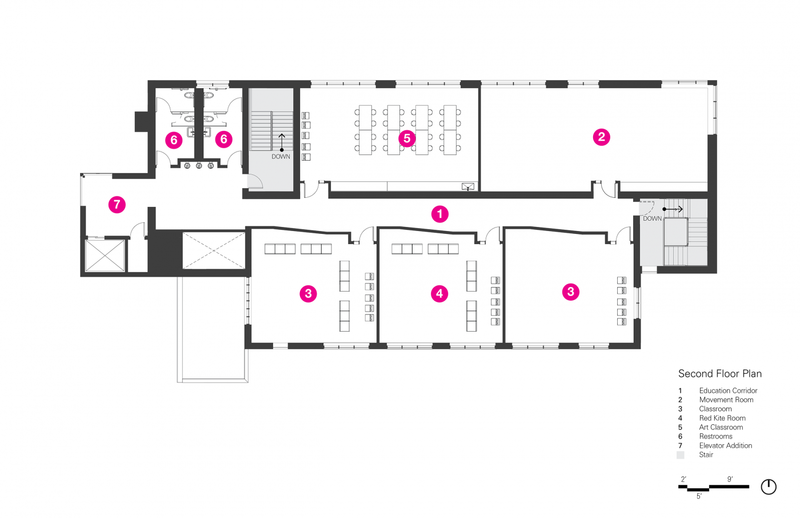 A small café, ﬂanking the reception area, provides refreshments for waiting parents. 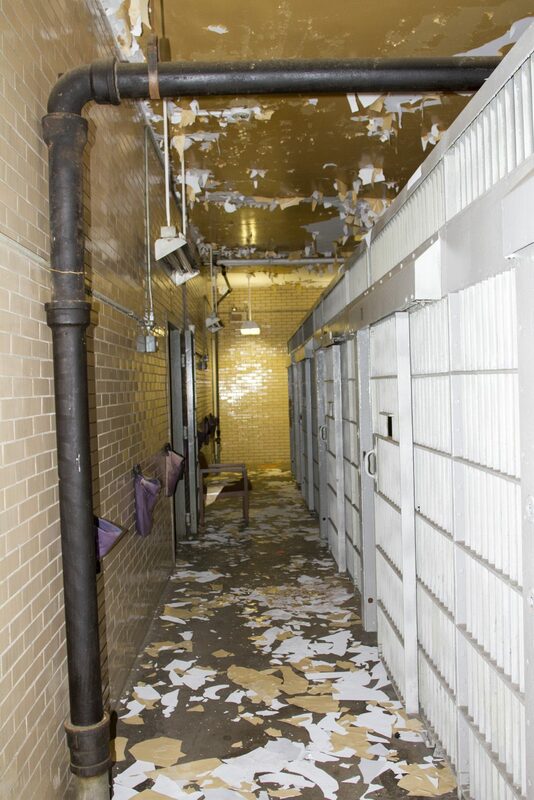 The heart of The Station is the 149-seat Pritzker Family Studio Theatre, located in the footprint of the former jail cell block. 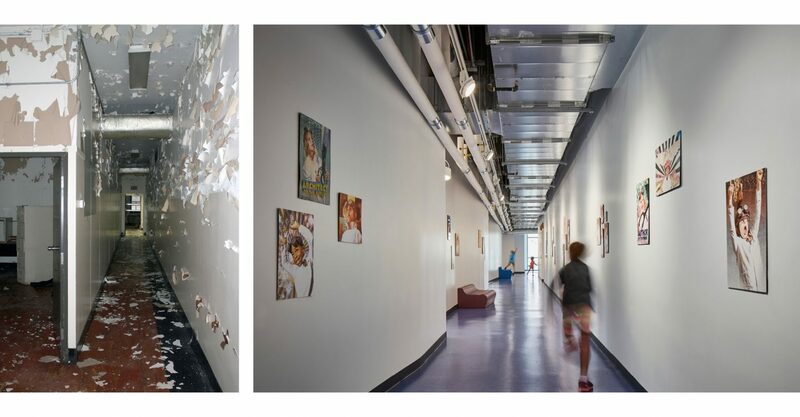 The studio is designed with flexible seating to accommodate student performances, smaller professional shows, and Red Kite interactive theater involving students with autism. 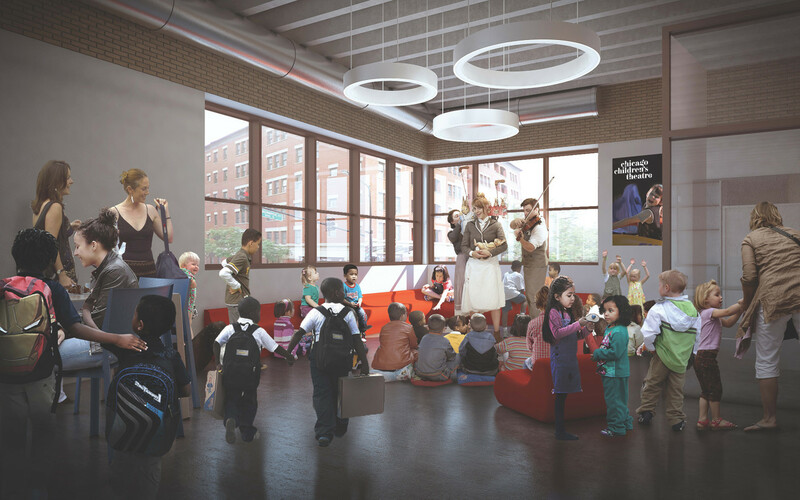 The project also includes a lobby with an area for storytelling, classrooms, cafe, support space, and 30 parking spaces. 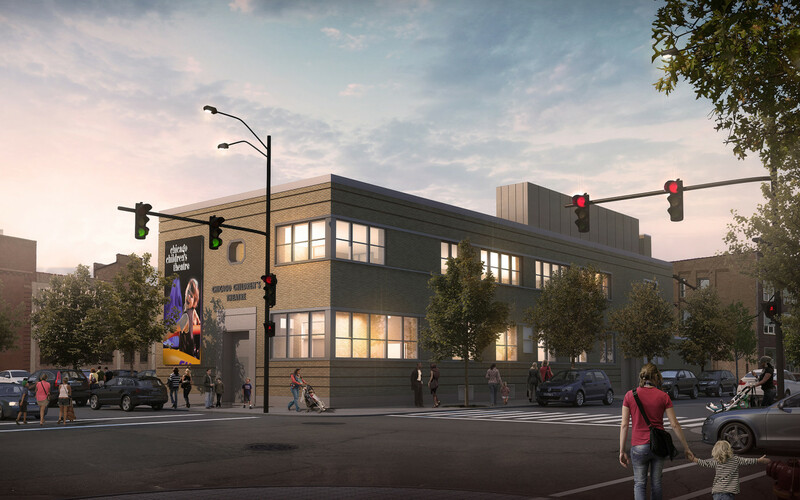 By 2022, a 299-seat main stage theatre will be constructed on the southwest portion of the site, allowing the Chicago Children’s Theatre to expand its offerings and serve larger audiences. 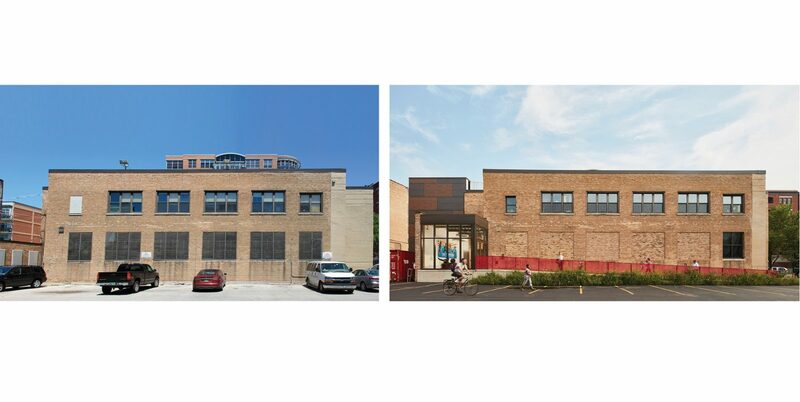 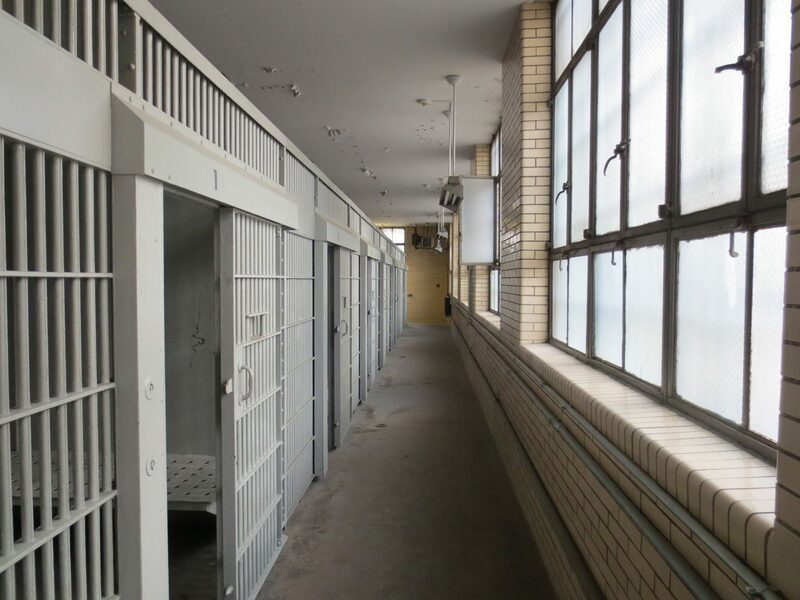 CBS Chicago "Former Chicago Police Lockup Becomes New Home To Chicago Children’s Theatre"
New Chicago Children's Theatre on "You And Me This Morning"